Is your fertilizer OK for spring and fall? Is your yard product summer-safe? 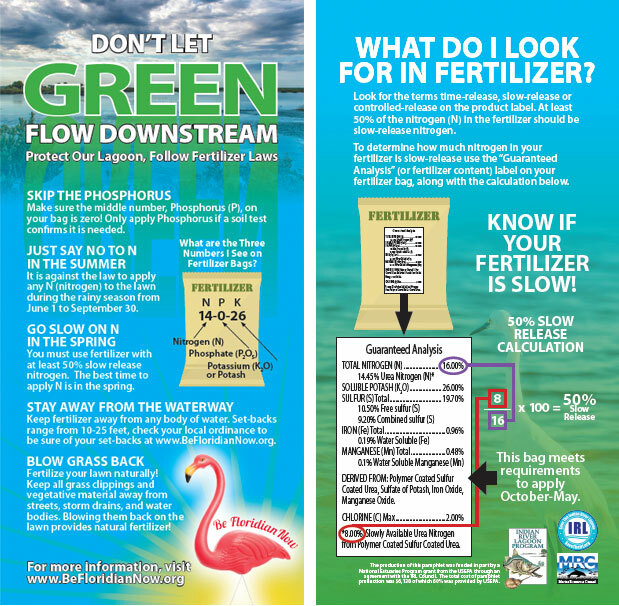 Click here for a list of products that comply with fertilizer laws in St. Lucie, Martin, Indian River, Brevard and Volusia Counties and nearly every city therein. Below is a non-exclusive list of locally sold fertilizer brands and types that comply with the fertilizer ordinances. There may be other manufacturers and brands that comply with the ordinance and this list is provided simply to offer a sampling of what is offered by area merchants in their efforts to protect the Indian River Lagoon. To be in compliance, the fertilizer must contain no phosphorous and be at least 50% slow release nitrogen (SRN). 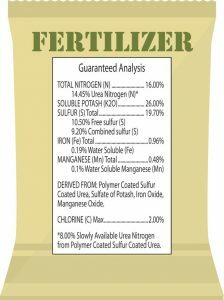 The fertilizer content is listed on each label as three numbers, #–#–#. This corresponds to the percentage of nitrogen, phosphorous, and potash: respectively N-P-K.
How do you determine the percent of slow release nitrogen? On the back of the bag, there will almost always be a “Guaranteed Analysis” box where it will say what percentage of nitrogen used is slow release. Take this percentage and divide by the entire N content percentage and multiple by 100. Here I have a bag of TurfGro Professional Turf Fertilizer. The label clearly states that the N-P-K content is 16-0-8. This means it has 16% nitrogen, 0% phosphorous, and 8% potash. 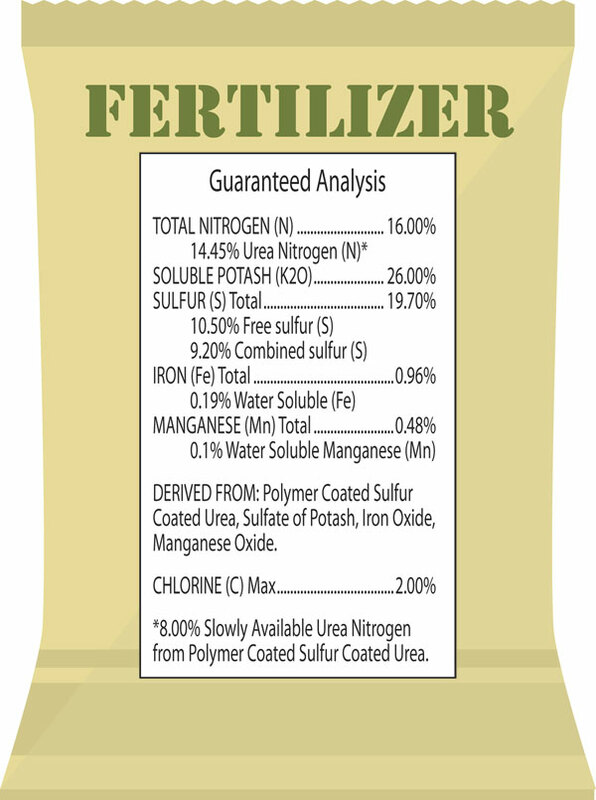 This fertilizer has 50% SRN and 0% phosphorous. This fertilizer is in compliance. This list will be updated as needed. You can email maria@mrcirl.org, if you find other fertilizers you believe to be in compliance or if you have questions. 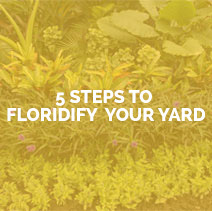 These fertilizer manufacturers offer products that can be applied year-round. Their advertising and labeling complies with Be Floridian principles (no Nitrogen or Phosphorous in summer and slow-release Nitrogen at other times).